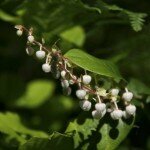 The wintergreen family (Gaultheria spp.) is a family of evergreen shrubs and woody groundcovers native mainly to northern and mountainous regions of North America. Welcome to the Mast Tree Network! Our mission is to restore the bounty of North America's native woodlands by raising awareness of the many benefits mast-producing trees provide to wildlife, humanity, and the environment, and serving as an information resource for people interested in planting or managing mast-producing trees and forests. This site may receive financial compensation through advertising or affiliate programs for some of the products or services mentioned in posts. Clicking certain links may result in monetary compensation for the owner, either through pay-per-click advertising programs or in the form of a small commission if you make a purchase after clicking an affiliate link.